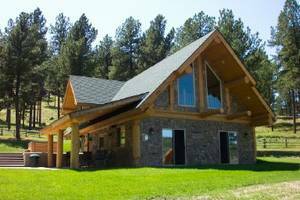 Beautiful Horse ranch close to Mt. Rushmore! queen sized bed and two double beds. FOR LARGER DOGS NOT STAYING IN ONE OF THOSE CABINS. Very comfortable cabins with new leather furniture,big screen t.v. with an indoor/outdoor sound system, A second satellite receiver in the upstairs bedroom. Watching and petting the horses is a favorite of lots of our guests. 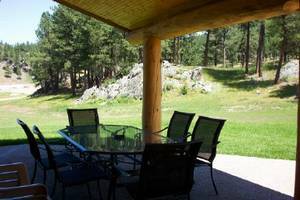 There is also fishing in the creek or swimming at Sheridan Lake which is just a mile away. Beautiful cabin that sleeps up to 10. Leather furniture and big screen t.v. Pillow top mattress makes for a comfy night sleep. 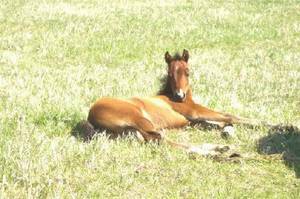 See and pet the horses and new babies. 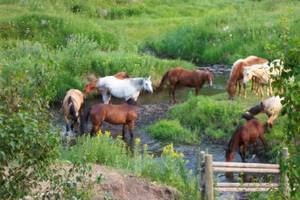 Creek and horses in the backyard for the Aspen and Pine guests to enjoy. 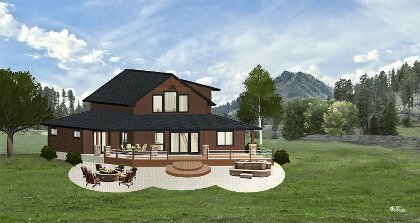 The Aspen is a guest-house type suite located at the main ranch. 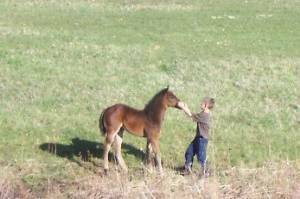 A young guest meets one of the new colts. 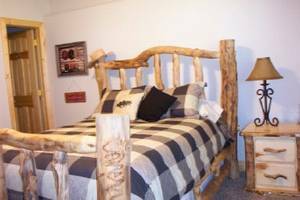 The Pine Suite is a comfortable suite located off the main deck at the ranch. The Spring Creek Cabin dining room. 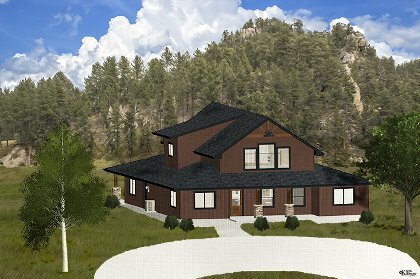 Artists rendition of front of the Diamond Spur Lodge. Most rude innkeepers I ever met ! Wonderful, beautiful cabin and the Jensens are the nicest people! We had a great time! Our stay at the Double Diamond Ranch Bed & Breakfast was absolutely fantastic! 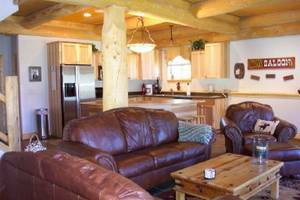 The cabin was immaculately clean, beautifully furnished, well maintained, and equipped with modern appliances, including radiant heat in the floors. The toasty warm floors were especially wonderful since we visited in February and it was quite cold outside. We felt quite comfortable in every way. Our hosts were the warmest, most friendly folks and made us feel very much at ease. The ranch property is also amazingly beautiful. Watching the deer wander through the property was a lot of fun. Visiting and petting their truly fine quarter horses was one of our favorite things to do at the ranch. 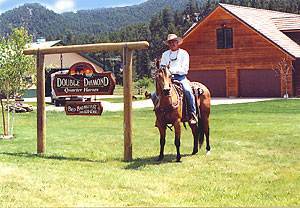 Stay at the Double Diamond Ranch Bed & Breakfast…you’ll be so glad you did! 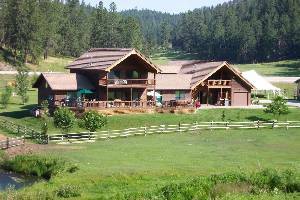 We stayed at this wonderful post & beam home during our vacation stay in the Black Hills. It was wonderful. The quality of the furnishings & electronics made us feel at home, and the hosts were fabulous folks! We cooked out, enjoyed the hot tub and enjoyed watching the deer come near the house every day. There are two bedrooms with queen size beds and a large loft having 3 double/queen beds to house kids or other quests not needing the "couple" privacy. You will not be disappointed! Be sure to visit the horses - they love attention! Daily rate range from $150-$340. Rate is dependant on the number in party. Please keep in mind that the rate changes for less people and for extended stays. 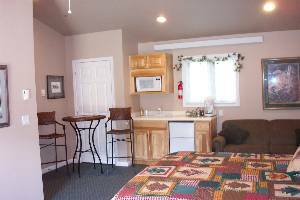 We also have our Aspen Room that rents for less and additional B & B sleeping rooms. Inquire about keeping your dog at the ranch headquarters. 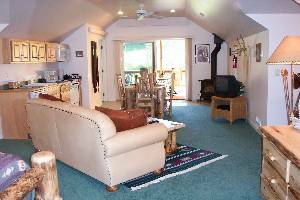 Other Fees: $75 cleaning fee on the vacation cabin during the peak seasons.